Preston's infectious approach to the songs, all but two her own, is a joy to listen to. 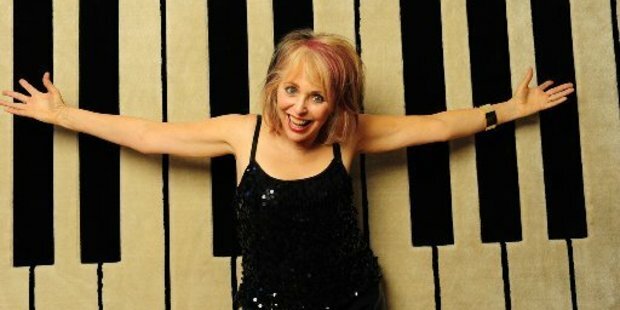 Jan Preston has five pianos, one in Auckland, one in Wellington, one in Sydney, one on the Gold Coast, and one in Berlin. Yes, it's true, and it confirms this lady is one passionate piano player. Jan Preston began life in Greymouth, learnt classical piano, but trouble is she heard Winifred Atwell playing boogie-woogie and she was hooked. Play It Again Jan reflects a life that took the road less travelled, a road she found in Wellington after she had completed her classical music studies in Auckland. Boogie-woogie piano is fun music, and Preston's infectious approach to the songs, all but two her own, is a joy to listen to. If you've had the pleasure of listening to Atwell, Albert Ammons or Pete Johnson you'll know what I'm talking about. If not, take my word for it. While her left and right hands are engaged in a boisterous battle on the piano keys, Preston is telling stories about her decades of playing boogie-woogie around the world, supported by a small band of double bass, acoustic guitar, drums and percussion. It's a potent mix. Highly recommended.